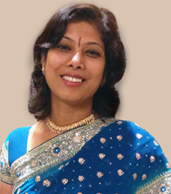 Priya first became inspired to create eMedEvents back in 2009, as she sought a way to make it easier for her brother, Dr. Vamsi Korrapati, to find quality CME opportunities. Traveling to New York State for CME conference? Planning a Trip to Arizona for a CME Conference? Planning a Trip to Illinois for your Next Medical Conference? Traveling to Michigan for Your Next CME Medical Conference? Planning a Trip to Georgia for a Medical Conference? Planning a Trip to Tennessee for your CME Conference? Planning to Attend a CME Conference in North Carolina? Planning to Attend a CME Medical Conference in Italy? Traveling to Colorado for a CME Conference? Planning a Trip to Tokyo for Your Next CME Conference? Traveling to Melbourne for a CME Conference? Traveling to Barcelona for a Medical Conference? Traveling to London for a CME Conference? Is Your Website Hosting HIPAA Compliant? Do Online Reviews Matter for Doctors? Planning to Attend a Medical Conference in California? Traveling to New York City for CME conference? Why Are Medical Conferences Useful? Is Online CME Losing its popularity? What does hacking conferences have in common with Medicine?